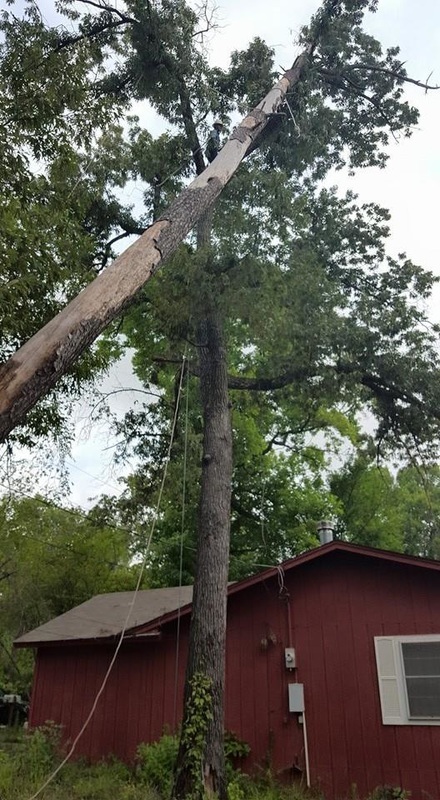 We specialize in big tree removal in Tyler, TX community and surrounding vicinity, we have the equipment and skill to finish the jobs quickly. At Tyler Tree Service, we approach every tree removal as a unique job. Our business sets standards in the industry with competitive pricing, job preparation, safety, customer service and the quality of our work. There are a lot of factors to be considered in a tree removal, which is why each job must be given a quote by one of our fully licensed representatives. The height of the tree, the type of wood, the condition of the tree, the equipment necessary for removal and the location of the tree are just a few of the details needed in order to provide a customer with a professional quote for services. Our business strives to keep prices as competitive as possible by relying on our experience and working in a timely manner. Our arborists know what tools and procedures are necessary to get a tree removed as quickly as possible with regard to safety and quality. Our 25 years of experience in the field gives us the ability to foresee and avoid any difficulties or problems that could prolong or complicate a job. Not all tree removals are handled the same. At Tyler Tree Service, our representatives know what details to gather for each job to make sure our crews arrive fully prepared to tackle whatever job is necessary. Each one of our employees will be fully trained to use any piece of equipment necessary to remove a tree in a safe and timely manner. 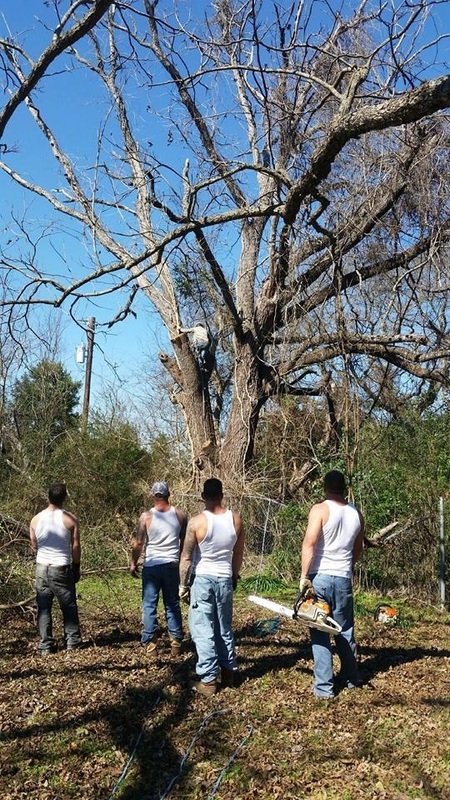 The safety of our workers as well is an overriding priority for Tyler Tree Service. We also utilize every industry standard in protecting any property within the vicinity of a tree being removed. Our employees arrive fully equipped for safety and are trained and licensed to operate any tool necessary to perform their work. The height and condition of any tree is carefully considered in our efforts to work in a professional, safe and hazard-free environment. 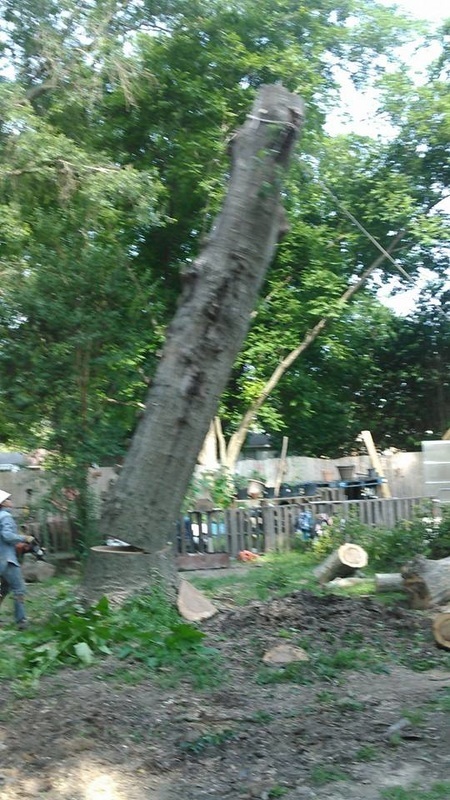 Tree removals can be complicated work and we take pride in doing our job in a manner suited to the needs of our customers. Our representatives and work crews adhere to your schedule and perform their jobs as quickly as safety and quality will allow. Your property will always be treated in a professional manner and you will get the results you need. Customer feedback and testimonials consistently rate Tyler Tree Service positively. We have built a large and healthy clientele because our past customers are happy to refer new business our way. The quality of our work speaks for itself. Our experienced workers and management allow us to provide tree service that is unparalleled in the Tyler, TX community. We perform every job within industry guidelines and safety standards, resulting in the quality workmanship that has given Tyler Tree Service great ratings from customers and industry peers alike. 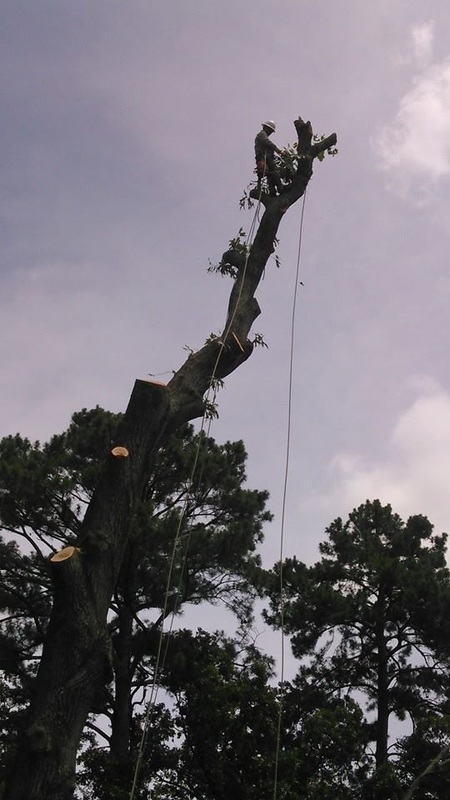 We perform every tree removal with a strong regard for safety and the results the customer is looking for. Our employees keep work areas clean and safe, always maintaining professional manners.